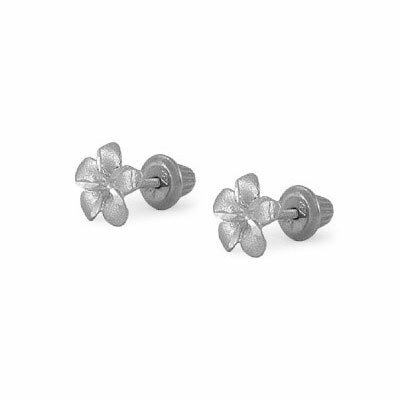 These girl's 14K white gold plumeria flower earrings are finished in a satin texture and accented by highly polished swirls. The perfect studs for wearing everyday. The screw back is smooth on the bottom for comfort and safety.